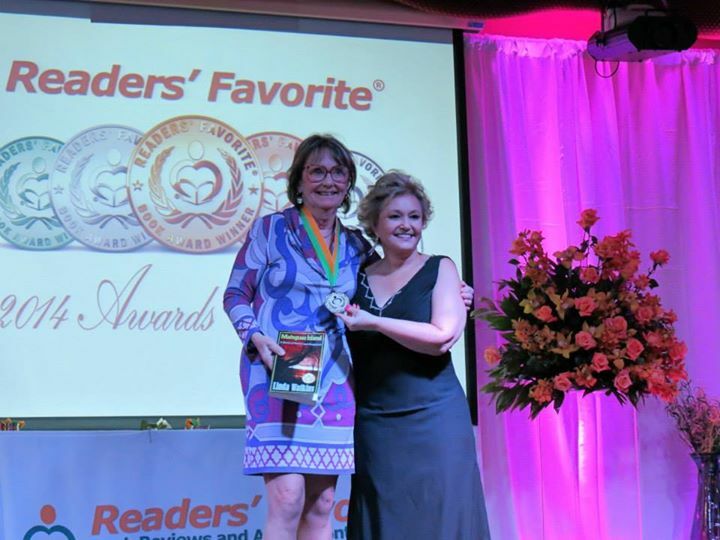 The 2014 READERS’ FAVORITE AWARDS!!!!!! On November 19th, I woke up to snow! At around 10 a.m., the snow stopped at my house, so I loaded my three dogs in the car, along with my suitcases, and we took off on the 50 mile drive to Grand Rapids where they would be kenneled and I would board a plane to Miami the next day. Unfortunately, the snow started up again as soon as we hit the freeway and we drove, in near-whiteout conditions, all the way to GR. 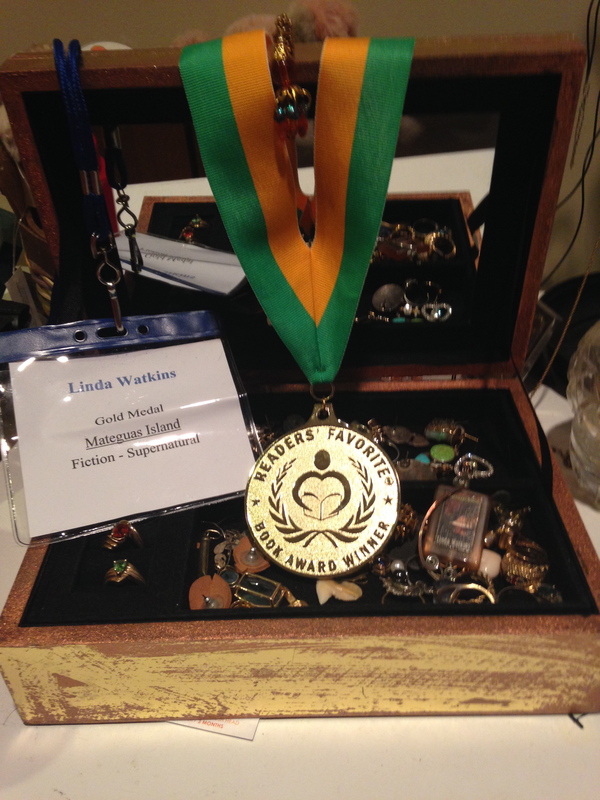 It was a harrowing drive, but we made it and the next morning, I was off to Miami to accept my gold medal in Supernatural Fiction! Of course, the plane left 45 minutes late – they had to de-ice the wings! But, Delta apparently knew this was going to happen and built extra time into their flight schedule so I landed at LaGuardia just ten minutes late! 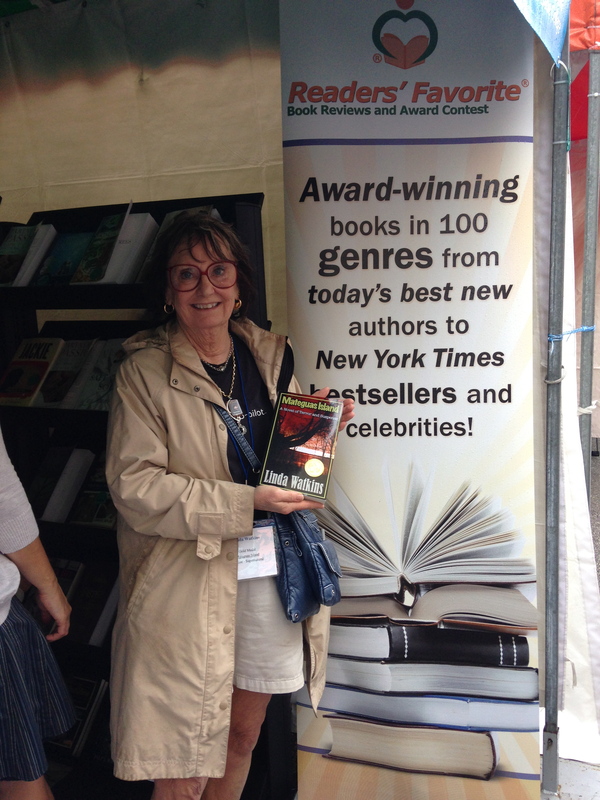 While waiting to board the next flight, I struck up a conversation with another lone passenger who turned out to be another award winner, Val Silver (Rescue Me). Her book is about dog rescue which, as anyone who knows me knows, is a subject that is dear to my heart. 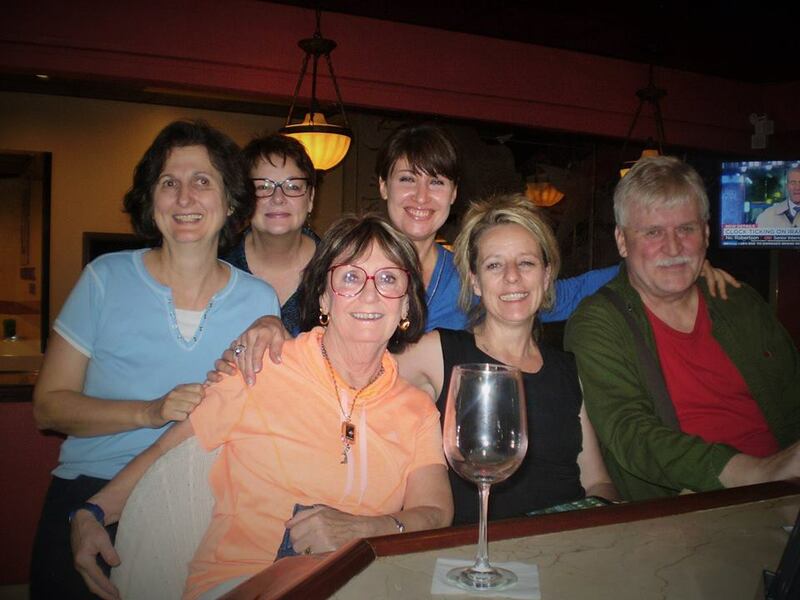 Robinson (Sir Princess Petra’s Talent) , her sister, Cindi, Wayne Clark (he, She) and Leyla Atke (Charm, An Amazing Story of a Little Black Cat). 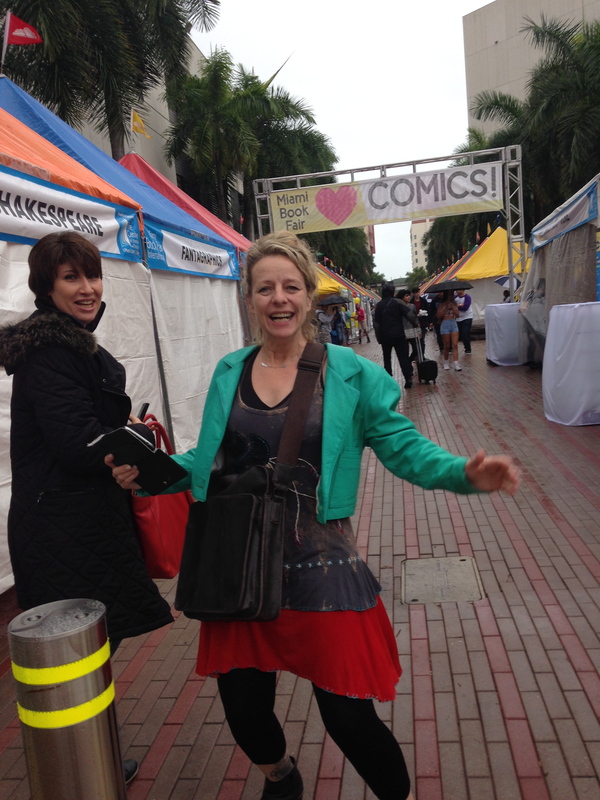 This was my first book fair and, even though the weather was not ideal, it was great fun! Also, on Friday, I was happy to meet Jalpa Williby – double gold medal winner for Chaysing Dreams and Chaysing Memories. I’ve known Jalpa for some time, through cyberspace on Facebook, Twitter, etc. To meet her in person was just such a hoot! 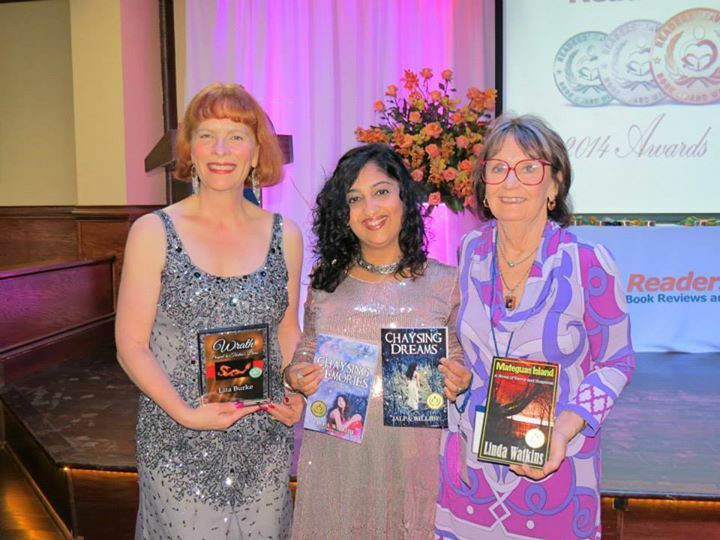 Saturday night was the award ceremonies and it was just so special. Later that evening, I hung out with Jalpa and with Lita Burke (Wrath) another cyber-friend I was privileged to meet. All in all, it was a blast! I met so many wonderful and talented people and made so many new friends. Gosh, I hope I can make it there again – maybe next year? Previous PostRETURN TO MATEGUAS ISLAND AVAILABLE FOR PRE-ORDER ON AMAZON!!!! !Next PostBARNES & NOBLE BOOK-SIGNING!!!!! 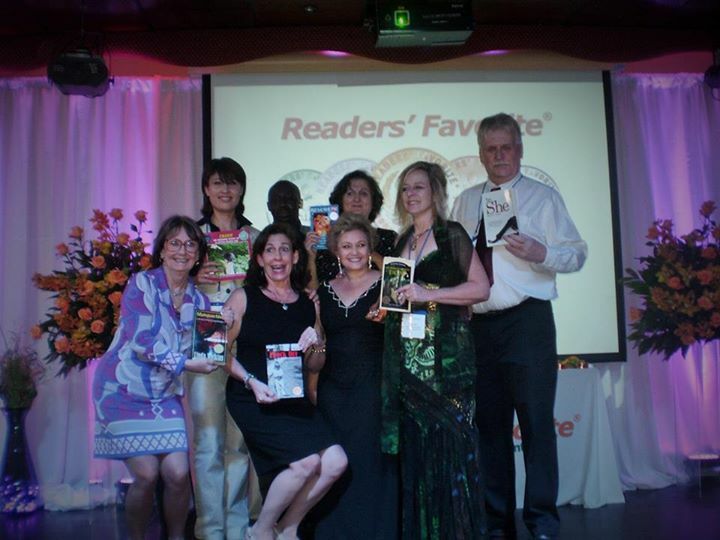 Pingback: ASMSG Horror-Thriller Emagazine – The 2014 READERS’ FAVORITE AWARDS!!!!! !